If you live around the Cleveland area, it is obvious you have received myriad warnings about the apparent floods. The National Weather Service (NWS) says over 40% of homes in low lying areas will be affected by floods this year. As a homeowner, you have to get proactive about protecting your family and one sure way of doing so is installing a battery backup sump pump. Most likely you already have an electric-powered primary pump, but consider what happens during storms. It is most likely that if you experience power outages, your home is susceptible to basement flooding when the primary sump pump can’t work. This is where backup sump pump comes in handy. Ever wondered why some homes flood while others never go through such turmoil? The secret lies in a backup system using a battery sump pump. It works by picking up when your primary unit either malfunctions or is overwhelmed by flood water. The idea is to ensure that your primary electrical powered pump has a backup in case of any eventualities. 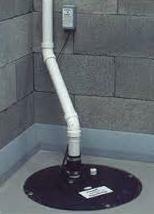 Once your primary sump pump conks, the backup pump kicks up and ensures your basement stays dry. Now that you understand the reason for installing a backup battery sump pump in your basement, isn’t it time to get it done? Well, you first should have your basement assessed by a professional contractor who will determine the type of sump pump you need. These experts have the tools and skills to asses exactly what you need and advise you on the best brands in the market. If you want to keep off the floods, you better make sure you have used a certified contractor to get it done. When shopping for your battery backup sump pump, how do you get it right? The best backup should have the capacity to outperform the primary sump pump.